Using excerpts from her letters and diaries, this book shows the very human face of Queen Victoria, from spirited young princess to caring Queen, passionate bride and loving mother to great-grandmother of a royal dynasty who gave her name to the age of improvement. Photographs of Queen Victoria most often show a plump Empress wearing widow's black; serious and regal. The posed portrait photos were stiff, formal affairs, partly because subjects needed to stay still for the exposure and partly because in Victorian England life was a serious business. In reality, the character of Alexandrina Victoria, Queen of Great Britain and Ireland, and latterly in her long reign, Empress of India, is rather different. In private, at least, Victoria had a reputation for being fun-loving and entertaining. Victoria kept a daily journal from the age of thirteen, which by the time of her death ran to 122 volumes. She writes openly and in great detail, revealing herself to be emotional and honest about her own feelings and experiences, as well as her opinions of other people. She praises Albert and pours out her love and desire for her husband, her adored lover, friend and companion. 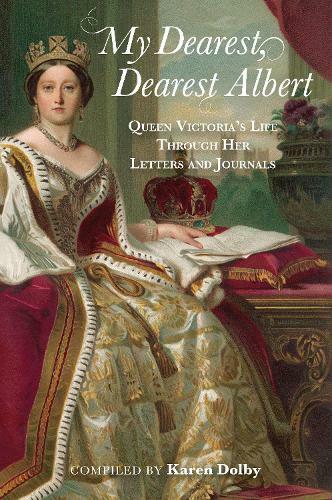 This book shows the redoubtable Victoria at her most human, whether enthusing over her hobbies and interests, delighting in her children and grandchildren, commenting on the ten different Prime Ministers who served during her reign, or sharing her love for her dearest, dearest Albert.